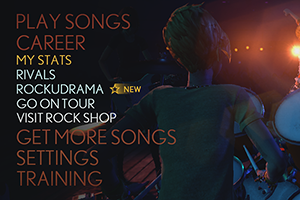 I hand-crafted the configurations of the Main Menu, animating each item expanding and collapsing. 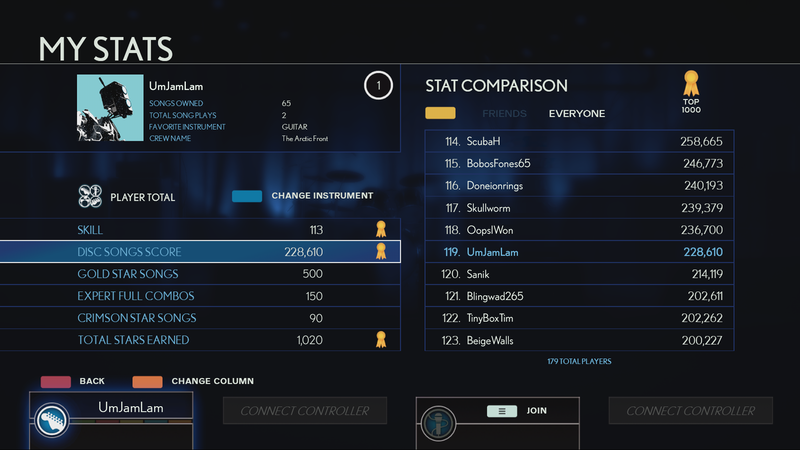 I also implemented the activity feed notification cycle. 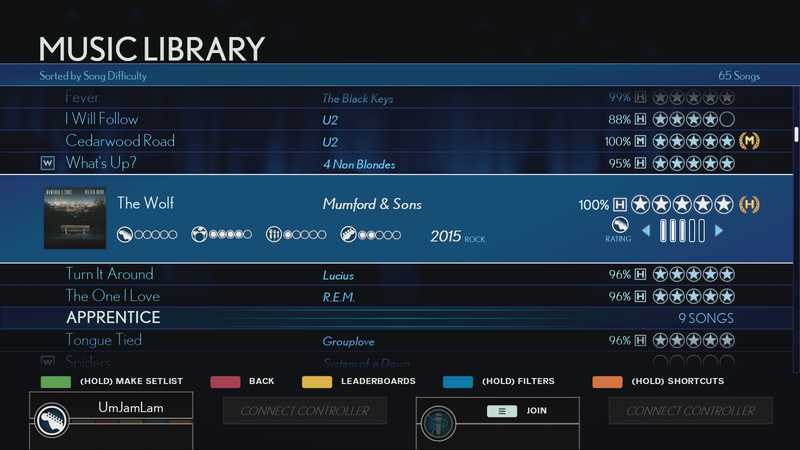 I worked on the implementation of the Music Library alongside code. For the Rivals re-styling, I also worked on the shaders that colored the various pieces of the library, building them to be modular and sharable between gameplay modes. 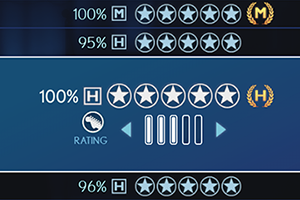 I also worked on the art, layout, and implementation of new elements such as the rating system. 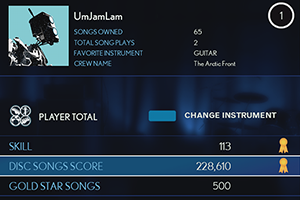 I contributed to discussions to determine the content of the My Stats screen, brought it through wireframe and concept, and then implemented the screen in the engine. 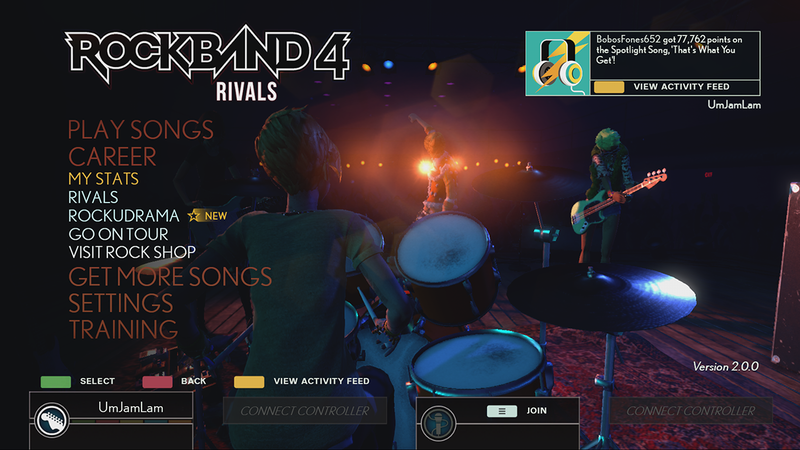 Also responsible for concepting and implementing the Rivals re-styling. 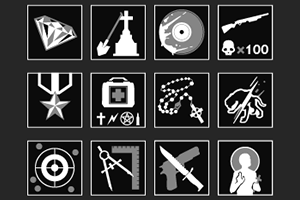 A sample from the set of 25 achievement icons I created. 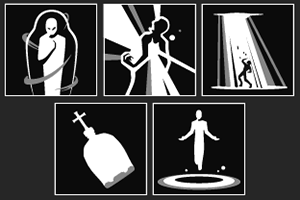 Lord's Embrace, Holy Light, Wrath of God, Cleansing of Sinners, and Sacred Chant. 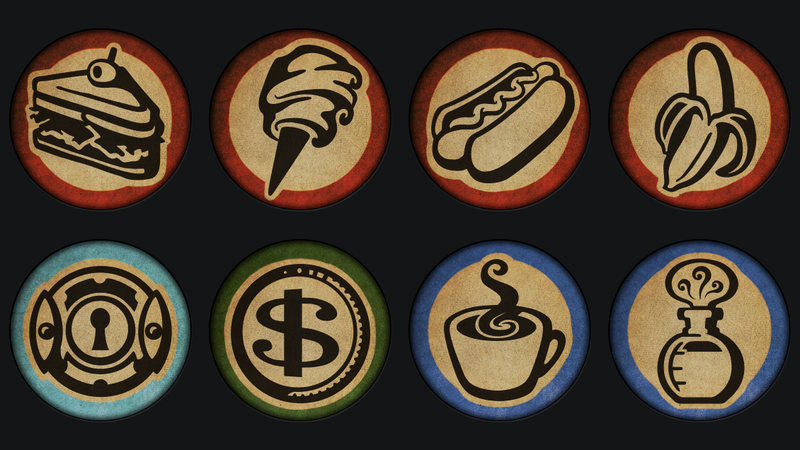 A sample of the Big Battles trait icons I worked on. 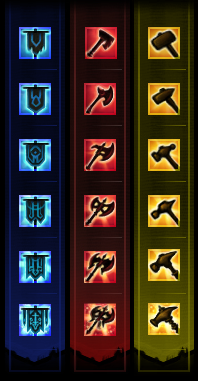 The top row is from the Engineer line, the middle row is from the Officer line, and the bottom row is from the Vanguard line. 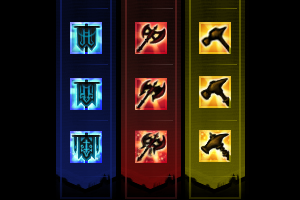 The full set of Expertise Ranks for the Officer, Vanguard, and Engineer lines respectively. 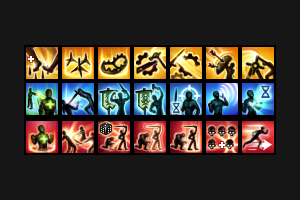 The player advances from top to bottom in one of these lines as they earn higher ranks in their chosen specialty. 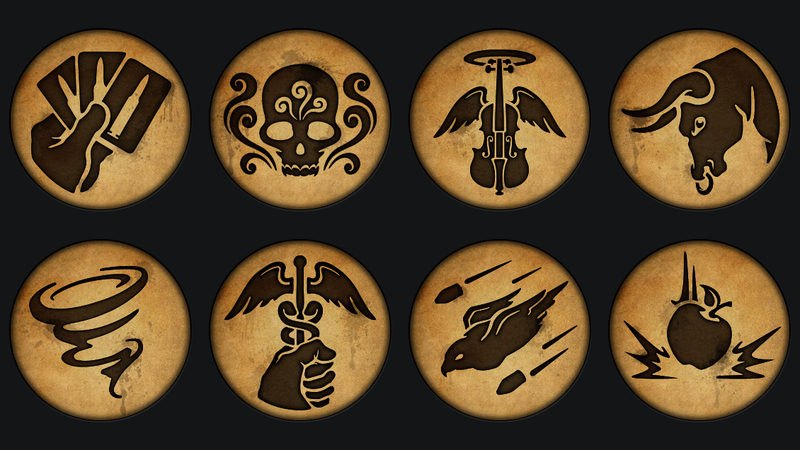 A sample of the Gear icons I worked on. 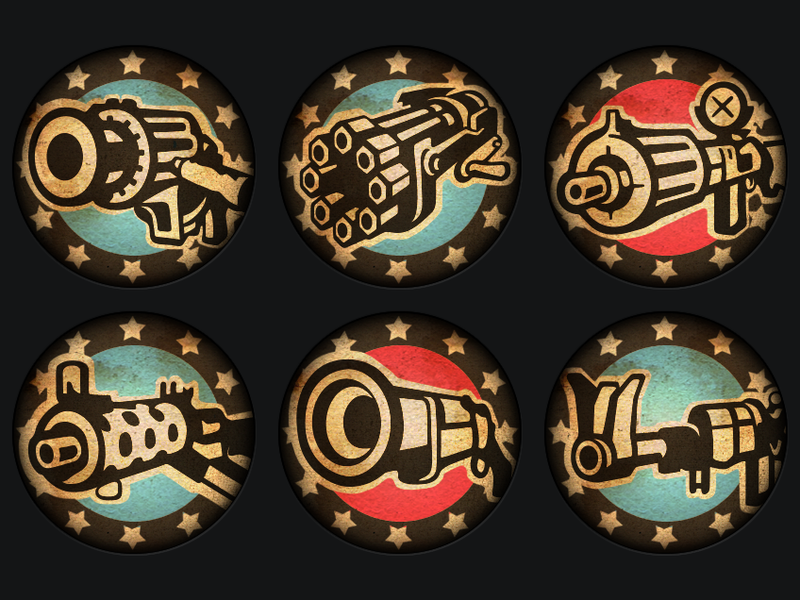 I was responsible for concepting, treatment, and developing the style of the Gear icons through iteration. 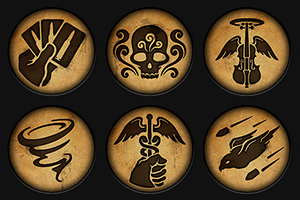 A sample of the Loot icons I worked on. 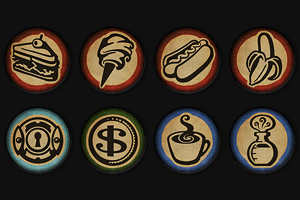 I was responsible for concepting, treatment, and developing the style of the Loot icons, which included representing item type so that a player could quickly parse it. Shown here are some of the health-restoring items: sandwich, cotton candy, hot dog, and banana. Also, lockpicks, money, and two salts-restoring items: coffee and a bottle of salts. 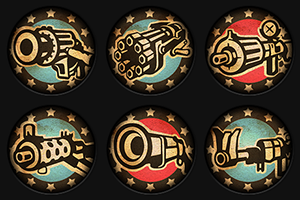 A sample of the Weapon icons I worked on. 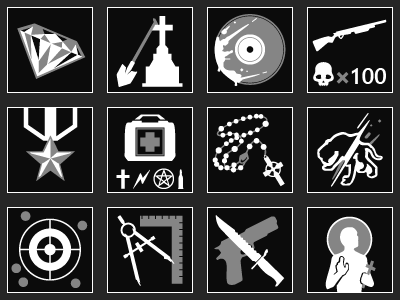 I was responsible for finalizing the set of Weapon icons. 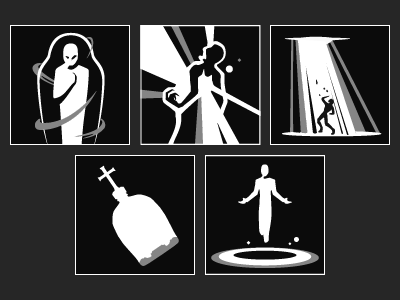 I aim to create artwork that communicates its function clearly in a visually appealing and interesting way.